Fitness zone features side entry steps with full body recliner and sculpted massage seat, open barrier-free fitness area, two RX6™ standing massage columns. 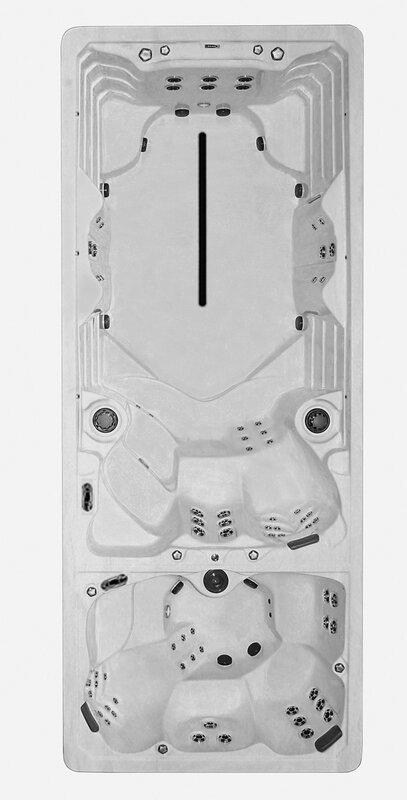 Hot tub zone is a full featured 5 deep seat spa. Separate zones with filtration, heating, therapy and fitness action controls. 64 hydrotherapy stainless Reflections Jets™ . Full body massage columns. Shoulder, upper and lower back, hips, calves and feet in 7 seats. Not with the dual zone Synergy™ Series FX219 model! 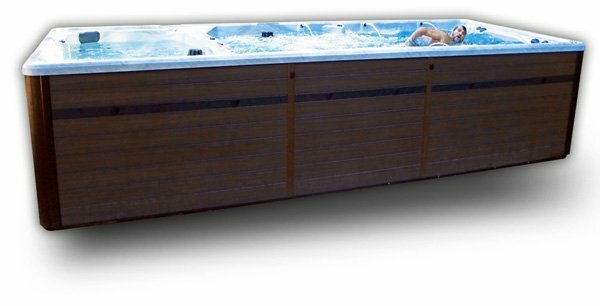 A full size 5 seat hot tub plus a spacious swim spa in one. You choose to enjoy both zones or separately, anytime, any season.